Here at NuTech we create specialized industrial cleaning products, grounds maintenance products, facilities maintenance or institutional cleaning products and spill containment products. We have facilities to manufacture, package and ship product customized to fit your needs. Our complete line of high-tech sorbent products and high performance polypropylene sorbent products cover industrial maintenance and spill cleanup for every situation. We have both absorbents for almost any leak or spill application and a wide variety of spill control products to help workers establish and maintain clean, safe industrial workplace environments. Spills happen no matter how hard you try to avoid them. 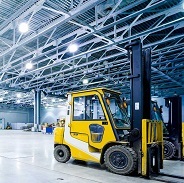 Forklifts knock over drums, tanks are punctured and transporters leak and drip. That’s why it is important to have those right sorbents on hand when these spills occur. A quick response is the first order of business and your best weapon in the fight against spills. Whether you need to cleanup a dangerous chemical spill or eliminate a slip and hazard, we have a spill kit for any size and type.